In a decision that could make it harder to pursue spousal support enforcement actions against recalcitrant and devious spouses, the Fourth District refused to reinstate an ex-wife’s lawsuit against her ex-husband and his new wife. When the husband and wife divorced in 1996, the husband agreed to pay $5,000 a month in spousal support, but according to his former wife, he abruptly stopped making payments in 1997. In 1999, she filed a motion to enforce, and the court ordered him to pay roughly $225,000 in past due alimony and attorneys’ fees. He then transferred a number of assets, including proceeds from a second mortgage on his house, to his current wife. When the ex-wife sued again over unpaid alimony, a Broward County Circuit Court judge threw out the case, citing Florida’s debtor-friendly homestead protection laws. Financial Resources of Each Spouse: The judge may consider not only the marital property share, but also any separate property awarded to either spouse, especially if that property is cash or a revenue-producing asset, like a rental house. Relative Earning Capacity: Statistically, divorced men recoup wealth at faster rates than divorced women. Other factors, such as age, health, and educational background, also come into play here. Length of the Marriage: As a rule of thumb, short marriages usually mean low alimony awards and short payment terms, while there is an assumption that obligee spouses contributed more to the relationship during longer marriages. Contributions to the Marriage: This category includes both financial contributions as a “breadwinner” spouse and nonfinancial contributions as a “caretaker” spouse. In most marriages, these roles overlap, at least to some extent. Minor Children: There is a presumption that it’s best for the children if they remain in the family home, and obligee spouses, who are nearly always women, sometimes need some additional financial help to stay in the home. All these factors are designed to flesh out the overriding alimony principles, which are the obligee spouse’s economic needs (as opposed to economic wants) and the obligor spouse’s ability to pay (as opposed to willingness to pay). Financial circumstances change, so alimony awards sometimes change as well. Most forms of alimony can be modified upon the motion of either party, and changed financial circumstances are usually sufficient to modify the award either up or down. There are some sticky situations. 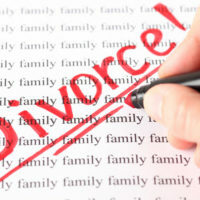 For example, an obligee spouse’s remarriage terminates the alimony obligation basically as a matter of law, but if the obligee spouse has a live-in partner, that relationship may or may not be the basis for a successful motion to modify. Enforcement actions are usually a little more objective, as the obligor spouse either paid the amount due in accordance with the decree, or the obligor still owes money. Of course, there may be extenuating circumstances; for example, the obligor spouse may have been incarcerated for a time or may have been paying bills for the obligee spouse. Circumstances like these may or may not affect the outcome. Spousal support is available if the obligee has a discernible economic need and the obligor has the ability to pay. For a free consultation with an experienced family law attorney in Port St. Lucie, contact Eighmie Law Firm, P.A. We routinely handle cases throughout the Treasure Coast area.